As a writer, you may be assigned to write about something you’re not familiar with. You may encounter some terms you find hard to use, and some situations you haven’t experienced. But the thing about being a writer is that you use your words to describe everything: appearances, expressions, emotions, and surroundings. And if you don’t know what you’re writing about, your readers will know. It’s in your words that you make your work come alive. While painters have their canvas and their brushes, you have your pen – or keyboard – to create your masterpiece and improve your writing skills. As painters look at the sceneries before them or draw from their own memories and experiences to capture a scene with their craft, you read to master the art of depicting a scene through the written word. No great writer becomes one without first being a voracious reader. When it’s time to refresh your arsenal of words, get your hands on any of these books on writing and self-improvement. 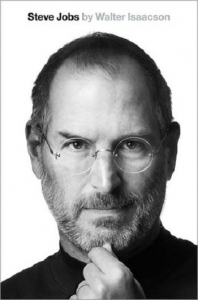 Walter Isaacson isn’t just some nobody writing a biography about Apple’s co-founder. He’s the man behind the biographies of Albert Einstein and Benjamin Franklin. He didn’t just work on the biography using canned information, either. What he knew about Jobs, he knew from Jobs himself. This helps young and aspiring writers manage the process of researching for their next article, book, or blog post. You want to be accurate as much as possible, but you also want to write in a way that the details jump out of the pages. 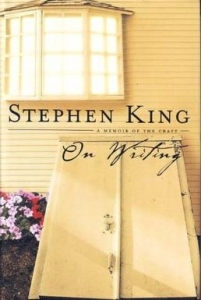 Stephen King is one of the masters of the literary art, having written over 50 books throughout the years. You may have heard some of his titles, as directors are always set to make a movie adaptation of his works. It just seems fitting to read one of his works to kickstart your writing project. “‘On Writing’ sits in the halfway space between autobiography and writing manual,” says The Guardian. It gives just the right mix of informative and inspirational. Published in 2000, this book continues to be one of the most recommended books for those wanting to spark their creative juices. The book comes complete with King’s process, making it an essential part of a young writer’s starter pack. 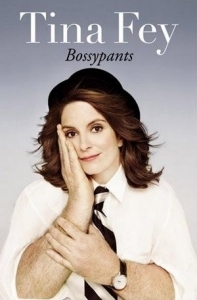 Tina Fey’s memoir, though not a formal guide to writing, is a guide to life. It’s what every person — yes, it’s not just for women — needs to read to power through life without overthinking every decision they make. Fey teaches her readers to live a little and not make everyone else’s opinion a priority. When starting a writing career, whether you’re freelancing or aiming to get published, you need to trust yourself a little more. It all boils down to one thing — don’t let the thought of future criticisms limit what you write. George Orwell’s work emphasizes things in daily life that people take for granted or choose to ignore: the state of poverty. In some areas, poverty can be so rampant that it becomes hard to notice, blending in the background and being an “accepted” state. Orwell’s prose invites the reader to think about what an impoverished person would do with the little money they had, and what they would do to get more. Reading such a powerful book widens your view of life and helps you describe sceneries in your own writing that would be realistic in the details you mention. Forget about the lush greens of the forest; talk about how each branch hardens under the beam of the sun. Sylvia Plath’s work is not for the faint of heart (or mind). But, for those who want to dig deep into timely issues, such as depression and equality, The Bell Jar is a must-read. 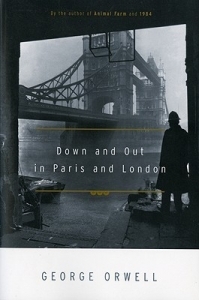 It gives an insight into the human mind and how several situations shape one’s outlook. The circumstances of Plath’s life also make the story more interesting, as it mirrors the author’s own struggles. 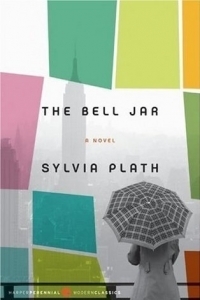 The Bell Jar was published in the same year Plath took her own life. It might seem like the last book to be added to a recommendations list, but it’s way too good to pass up if you’re gunning for a story that moves its readers. To be a good, well-rounded writer, you need to be well-read. Don’t limit yourself to one genre or author. Go places through the books you read. Meet different kinds of people. Familiarize yourself with different cultures. Be a master of technology and history. Learn the arts. All this without leaving your seat. Sample different kinds of writings — and don’t forget the fundamentals — to develop your own style. Who knows? A few years from now, your work might just make it to the most recommended for the next generation of writers and readers.